Quality Auto Repair Saves Lives • E & L Service, Inc.
You probably haven’t thought about it, but quality auto repair not only keeps you on the move with a car that works, but it also saves lives on a daily basis. Keeping your car maintained regularly will not only save you money on potentially more costly repairs, but also can extend the life of your car by years. But most importantly, it can save your life or the lives of your loved ones riding in the car with you. Additionally, a well maintained car uses less gas, which expels less pollution in the air, and ultimately gives you a vehicle that drives and handles more smoothly. This means a faster reaction time when you need it and this could mean lives saved in the event of a potential accident. Keeping the best auto care and maintenance also means taking care of things like your fluids, which in turn will also contribute to your safety. 1. Make sure your spark plugs are not worn out or fouled. 2. Keep your air filter free of debris so it does not get clogged up. 3. Check your tire pressure monthly, including the spare, as well, as the wear and tear of your tires. 4. 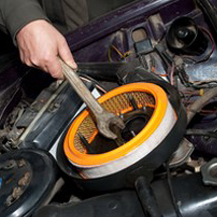 Properly tune up your car so it runs at its peak performance. Motor Oil You can improve the operation of your vehicle by using the correct motor oil recommended in your owner’s manual. Be sure to change the oil every 3,000 to 5,000 miles. Doing this can help you save 1 to 2 percent on gas mileage. 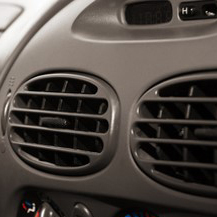 HVAC System Your vehicle’s heating, ventilating and air conditioning system (HVAC) keeps your interior comfortable by providing the right temperature and humidity. In order for this system to run efficiently have it checked and/or serviced on an annual basis. 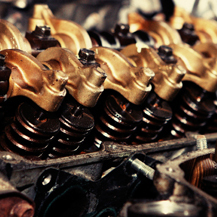 Make factory scheduled maintenance a priority in your car care routine. By following the recommended scheduled maintenance for your specific vehicle will ensure that you, the people in your car with you, as well as the other drivers who share the road with you, will stay as safe as possible and keep you vehicle under warranty. It wall also maintain the best fuel economy, save money on repairs and most importantly of all- potentially save lives. Driving Green: To reduce un-necessary miles, consolidate your errands, get good directions and avoid excessive idling. For better fuel economy use your cruise control, use your air conditioning only when necessary, and avoid sudden starts and stops. 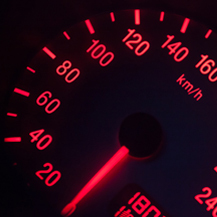 Reduce Speeding & Aggressive Driving: Speeding, rapid acceleration and braking can reduce gas mileage by as much as 33% on highways and 5% in the city. Lighten Your Load: Only carry necessary items in your vehicle, which includes a spare tire and emergency kit. Need Auto Maintenance or Repair?